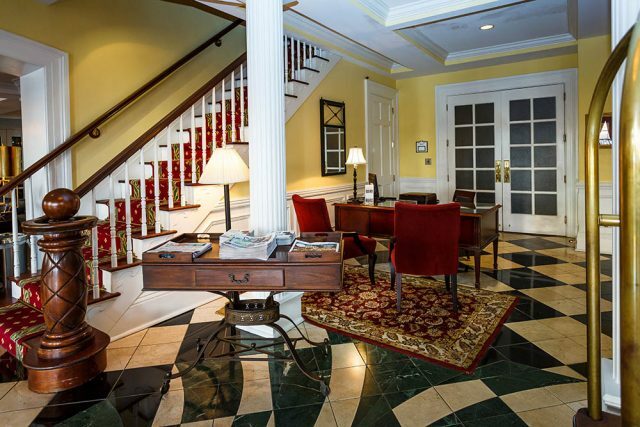 Savannah is synonymous with old world charm and new world luxury. The Marshall House proves that both can be merged perfectly. Nothing pleases me more than my sponsorships and when I was given one at The Marshall House I was thrilled to accept. 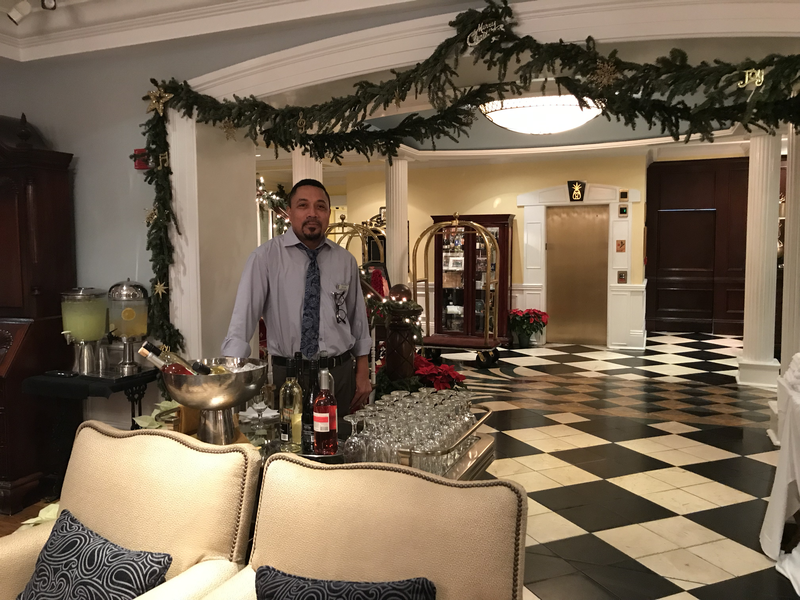 I immediately felt like I’d come home when I walked into the warm lobby on a blustery December afternoon. With smiles and warm wishes, the staff made me feel like family. Check in was not just a breeze but it was all about my comfort. I was shown two rooms and asked to choose which one I’d feel most comfortable in…who does that?! I know what you’re thinking, “They knew why you were there so you were given special treatment.” I’m telling you now, you are wrong! I witnessed the same generous offer to a couple that checked in behind me! Now THAT’S what separates a good hotel from a great one! 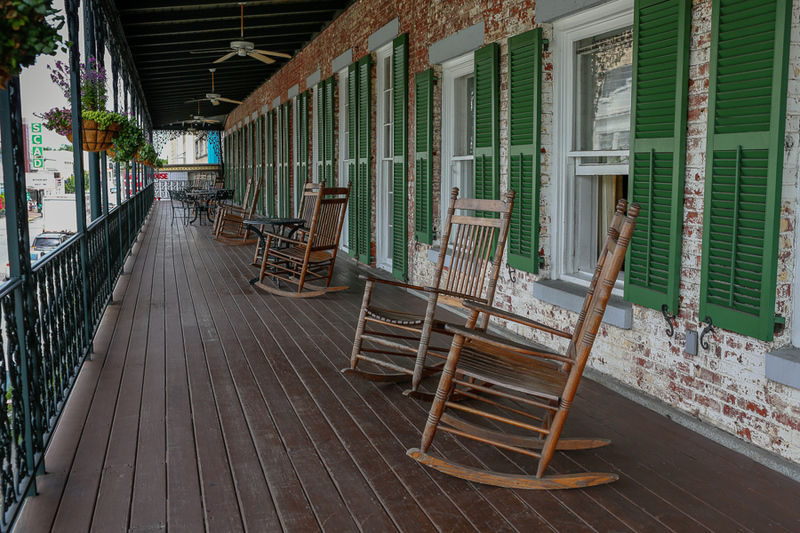 The room I chose was street facing and had a wonderful long porch where I enjoyed a glass of wine and views of the main street happenings. Getting out to the porch was unique and I loved the story behind it, which had to do with special taxes back in the day! This was one of my favorite things to do after a day of exploring the city. 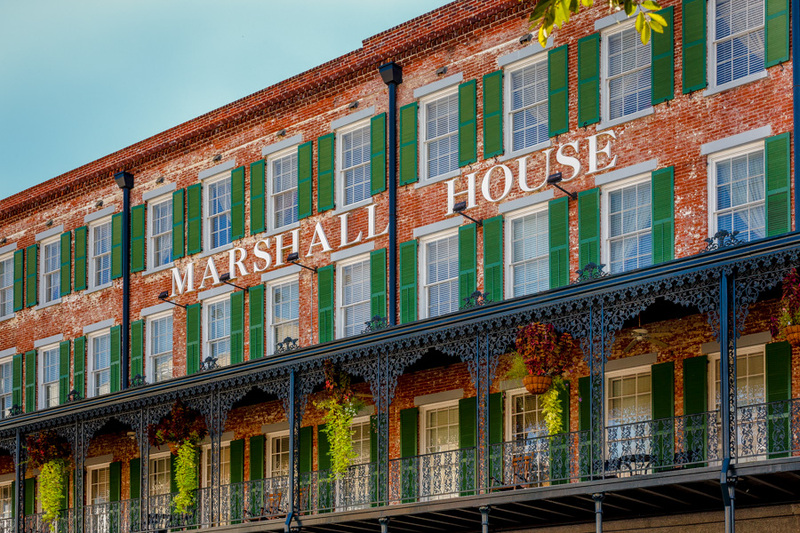 Located in the center of the historic district, The Marshall House was built in 1851 and stunningly restored. 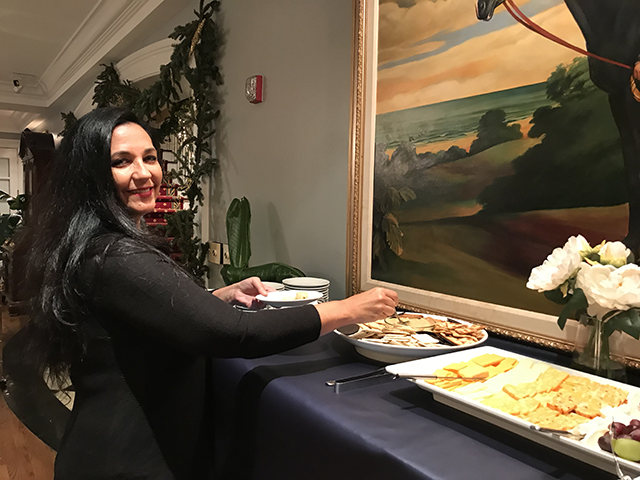 Each evening I was invited to a wine and cheese event where local musicians and speakers presented their specialties. This was something I looked forward to and was well organized. 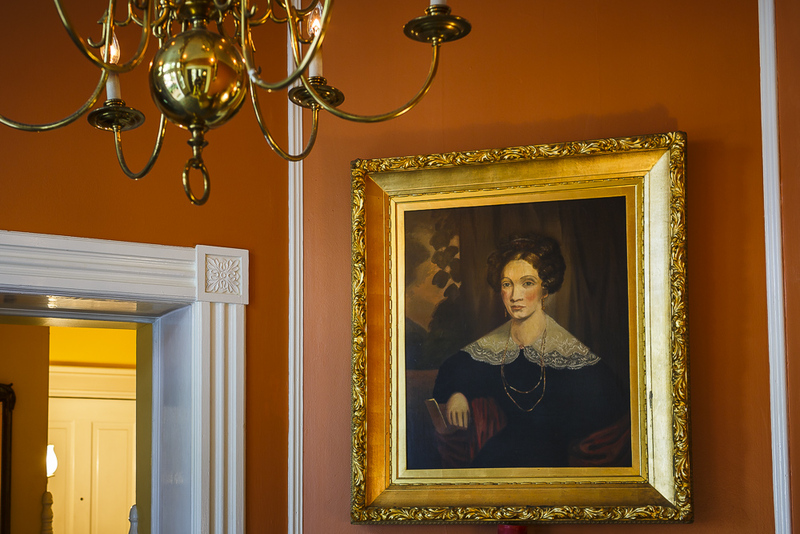 Keeping the supernatural trend alive, the hotel has its own stories to add to many of the ghost tours that can be found in the area. 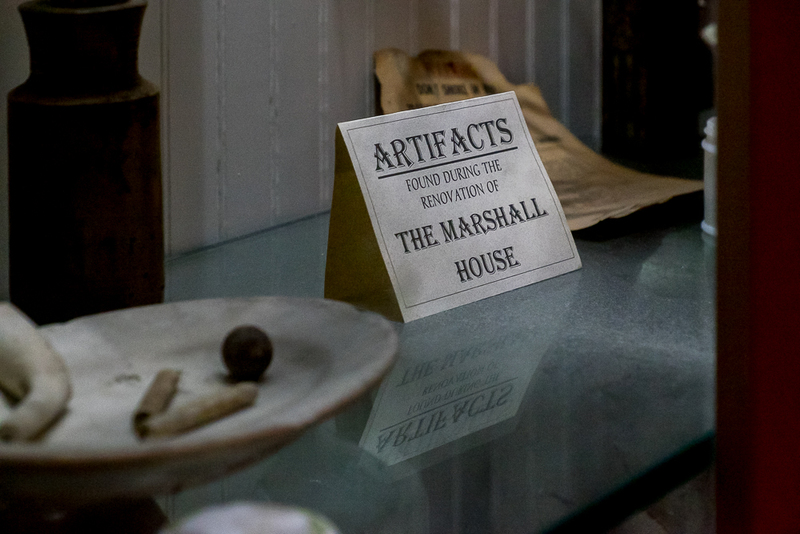 The Marshall House offers visual historic artifacts exhibited at the end of the guest-room hallways. Some of them uncovered during the hotel’s 1999 renovation. 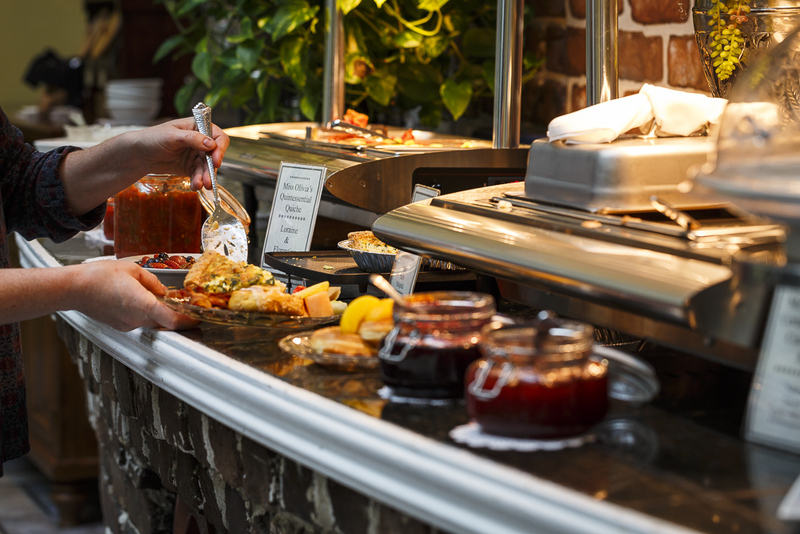 Guest can enjoy a delicious authentic Savannah breakfast at the hotel restaurant, 45 Bistro each morning. I can’t tell you how wonderful the staff was to me making my stay that much more enjoyable. They are the epitome of Old World Charm. 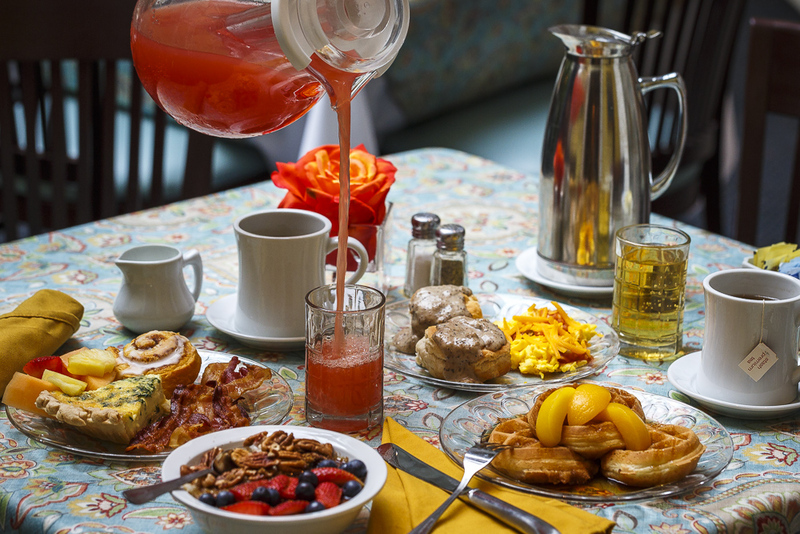 The cozy hotel is perfect for an intimate wedding, girl’s get-a-way, honeymoon or romantic weekend. 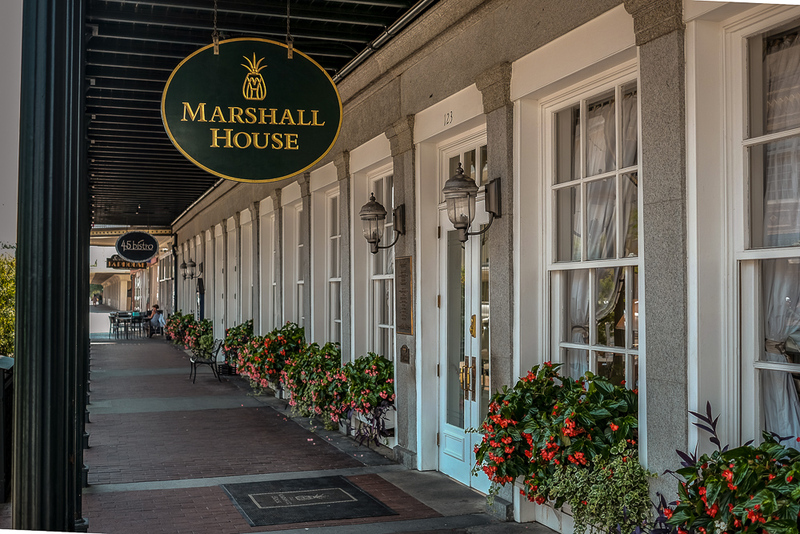 The Marshall House is one A Collection of Six Historic Savannah Boutique Hotels. 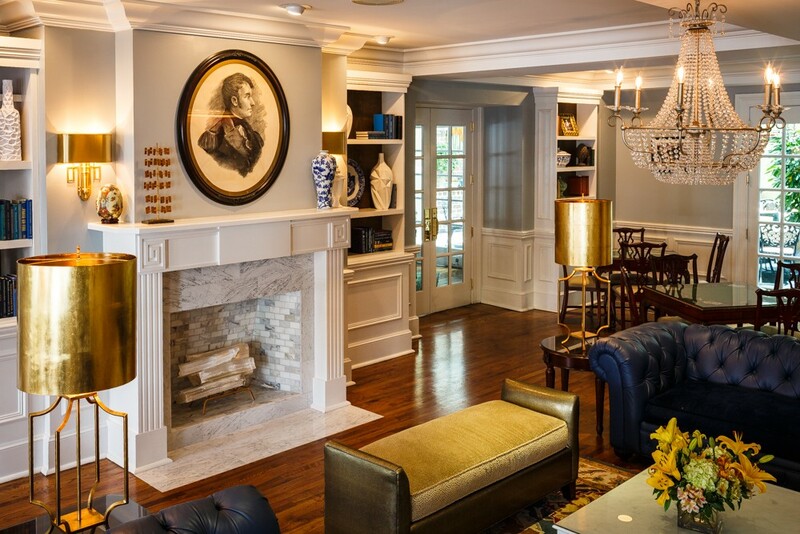 Each boutique hotel is exclusive and original. 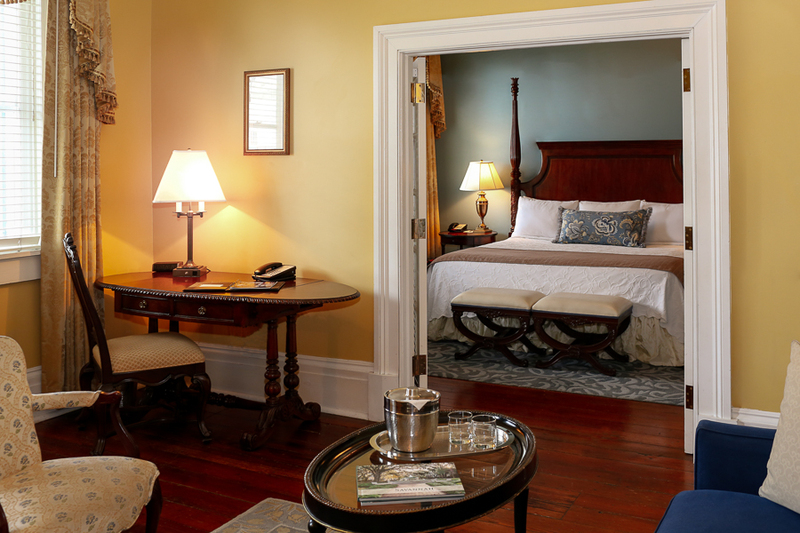 Built in the mid to late 1800s each has its own ambiance focusing on luxury and old world charm. I found myself wondering about the hotel’s past, who walked down the long hallways, what life was back then, who might be “hanging around” and what they might be thinking of us! After my visit with The Marshall House, I was invited to stay a night at the Eliza Thompson House. This smaller hotel is a fantastic and wonderfully restored inn well worth a visit. Again, the staff was just amazing and welcoming. My comfort was at the center of their concern and I was treated so warmly. 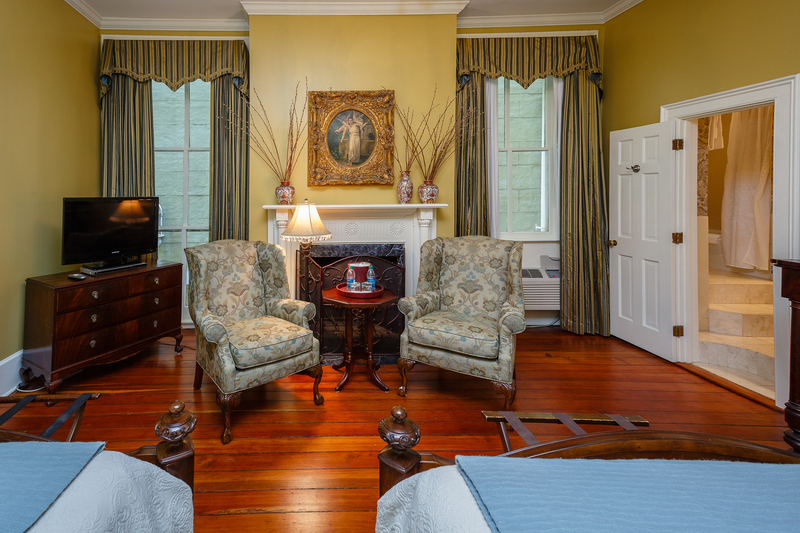 My room was beautifully restored and comfortable and I loved the fact that, although every luxury and modern amenity was available, the attention to keeping the inn as close to its original state as possible was clearly attained. I joined a wonderful group of guests in the parlor for a wine social and spent a few hours talking and making new friends. After a wonderful night’s sleep, I enjoyed an amazing breakfast of unbelievably delicious stuffed waffles made fresh by the chef. The staff was gregarious and full of information that helped me plan my day of sightseeing and tours. Making me understand completely the Old World Charm of Savannah. 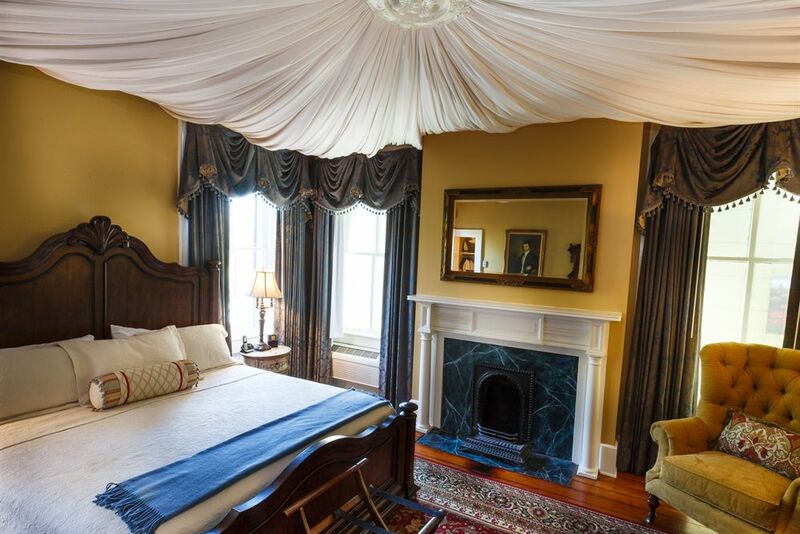 There’s something to be said about staying in cozy boutique hotels. 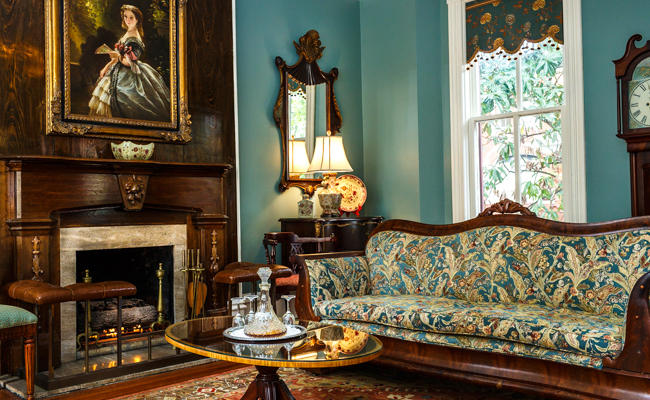 They are one of my favorite sponsorships and both The Marshall House and the Eliza Thompson House are the epitome of what a boutique hotel should be. 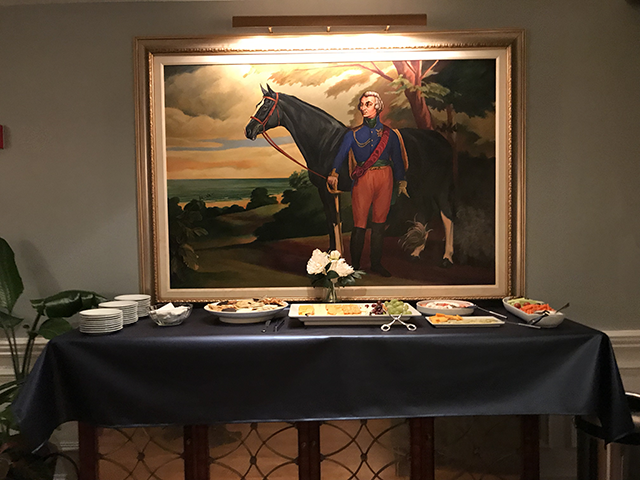 I want to thank Hugh Osborne, manager of both The Marshall House and Del Mundel manager of Eliza Thompson House, for organizing my stays and for their incredible dedication to the hotels. I highly recommend staying at either or both hotels when you visit Savannah. You can’t go wrong as every member of the staff will make it their mission to ensure an unmatched experience.